Champagne Campaign is an Allstar product of today's hottest urban artists including, Drake, Rick Ross, Jay Z, Future, and more. It contains 15 incredible multi-track construction loop sets with that radio ready, club ready, hard hitting sound. From perfect sounding hip hop/rnb collaborations to straight street joints this product has it all. 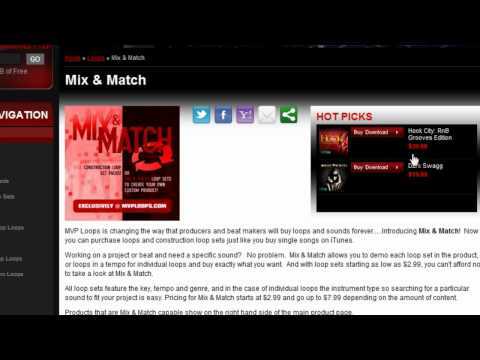 Mix & Match loops to create tons of new music ideas. Champagne Campaign comes in 24 bit 44.1 wav and MIDI format. Use the MIDI in your favorite DAW such as Reason, Protools, Logic, Studio One, Cubase and more to manipulate the sounds the way you like. Mix and match loops to create thousands of new ideas. Champagne Campaign from MVP Loops...Sounds Like A Hit! MVP Loops...Sounds Like A Hit!